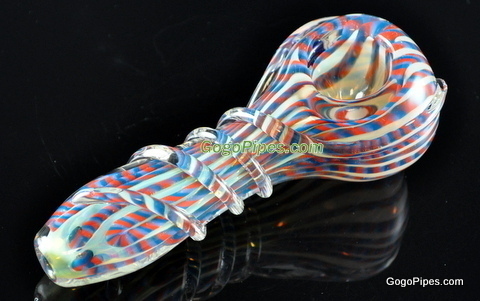 Introducing the hazy glass pipes. Is is about 5 inches long and the super thick piece.can't go to the part without this. Pros: this is a big pipe. actually turned to be about 5 inches long. its kinda thin but pretty strong. im happy with it. Cons: this does not look like the pic at all. it came to me in a green color. the stripes go around the tube in stead of like a swoosh. Pros: this pipe hits like a champ. i love it came exactly when it was supposed to and despite being made of thin glass it is actually quite durable.